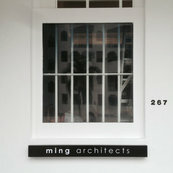 Architect Tan Cher Ming was engaged to con-temporise our existing Neo-classical style bungalow. Desirous in maintaining the overall structure, architect Ming was charged to make additions and alterations to facilitate the flow and usage of the space, incorporating new building designs, and suitable for aging occupants as well their personal lifestyle. The results included the installation of an elevator, wine cellar, and the introduction of a modern dry kitchen (facilitating small group entertainment), while enabling the entertainment of large groups in the addition of a pavilion by the poolside. Besides these major additions, alterations include provision of an updated network system, remotely controlled security, lighting, and air conditioning systems. The architect contributed many contemporary design ideas, which we adopted, having lived in several countries and seen many homes and country specific ideas. The wine cellar was an example of these exchange of ideas, and also, the design of the AV room equipped with state of the art equipment. The project took about 19 months.